I’ve been working thru several PoCs last weeks. And always struggling over the installation of VSD and VSC. This post delivers some tips and installation notes to make things easier. Install whatever is required to get your KVM instances running. check out my notes at “Resize and manage cloud-init on kvm with centos cloud images”. You will need those scripts later. Configure NTP and DNS server. If you don’t have one. You can create one of them using the script than I’ve mentioned before. I will annex some samples of bind and ntp configuration files on this post. Get into the server thru “virsh console ” as root. Restart network services: service network restart. 1)  HA, consisting of 3 redundant installs of VSD. 2)  Standalone, where all services are installed on a single machine. You will need an eval license. Create an organization called “acme_corp” and also a template and domains to start testing your containers. Get access to vsc thru ssh. Modify your Docker Monitor configuration (check annexed info) and restart both services. Don’t forget to create a user in the organization for this. Create your first container (remember use “–net=none” cause the network is being managed thru Nuage now). Remember create your domain, zones and subnets previously. # TiMOS-DC-C-4.0.4-46 cpm/i386 NUAGE VSC Copyright (c) 2000-2016 Nokia. echo "System Security Cpm Hw Filters and PKI Configuration"
echo "Virtual Switch Controller Configuration"
echo "Web Portal Protocol Configuration"
echo "System Time NTP Configuration"
# geo redundancy, leave this option blank. # removed. Default is `0`. _xmpp-client._tcp IN SRV 10 0 5222 vsd01.nuage40r4.lab. Default name space is utilizing the already configured eth0 or eth1 and just applying that to the ovs config file. Above example utilizes what’s already inside your /etc/sysconfig/network-scripts/ifcfg-eth1 as an example. Thanks. I am trying to create an ansible playbook to do it faster. I will publish in over this week or the next. 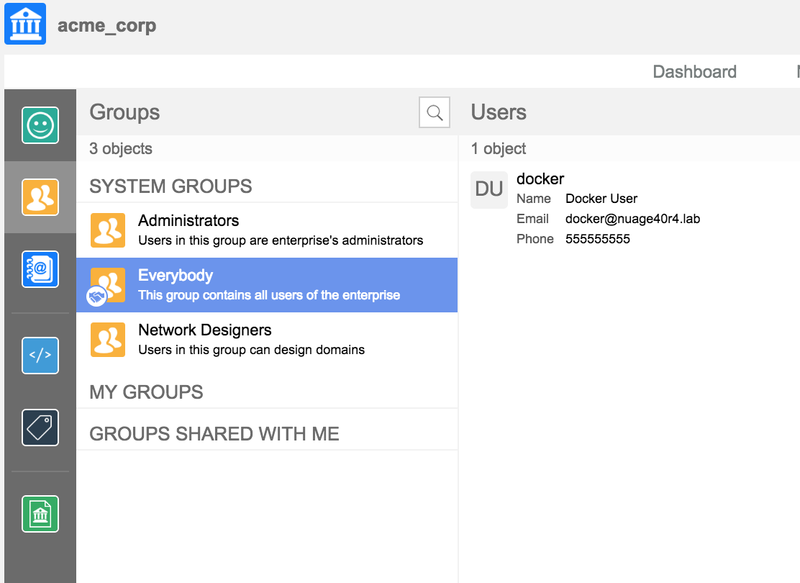 Also, you can try nuagex.io and get management/control plane online to play with docker. Thanks for your comment. please, contact me @pinrojas. Just followed you.